A lot of U. S. history here. 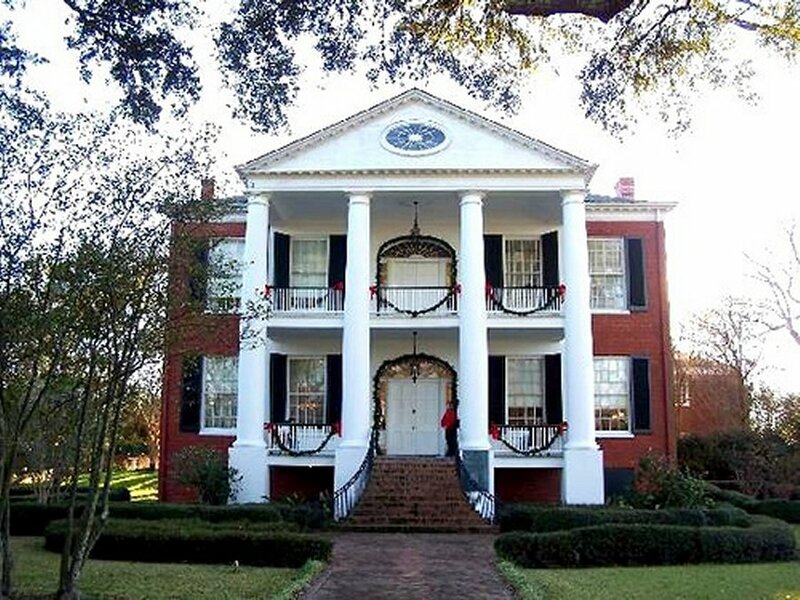 Rich plantation owners built lavish town houses, mostly for parties. 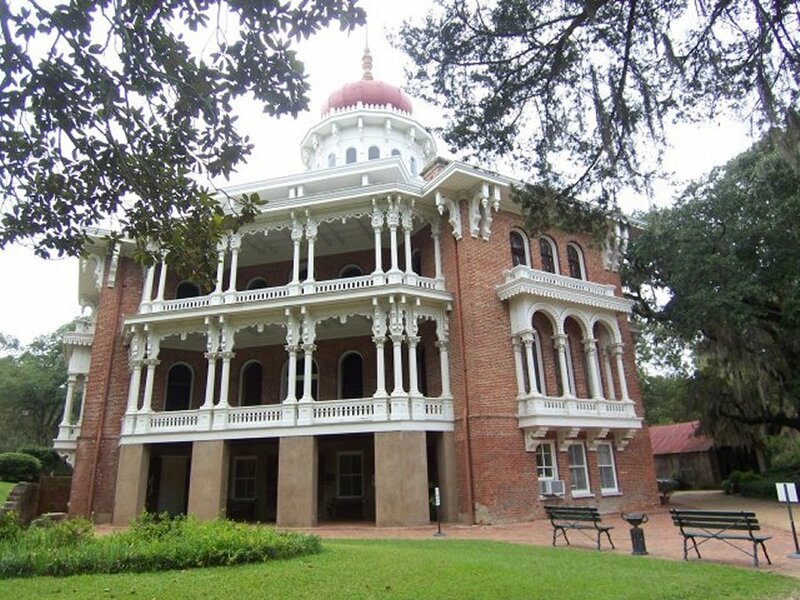 Early Indians lived, worked and played in Natchez. 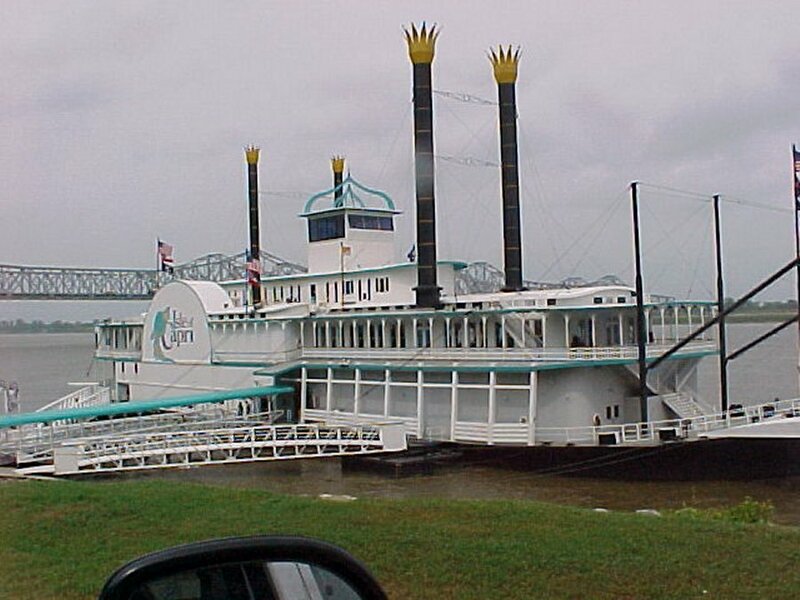 Between 1810 and 1860 , more than 200,000 enslaved people were transported to Mississippi from the Atlantic States. 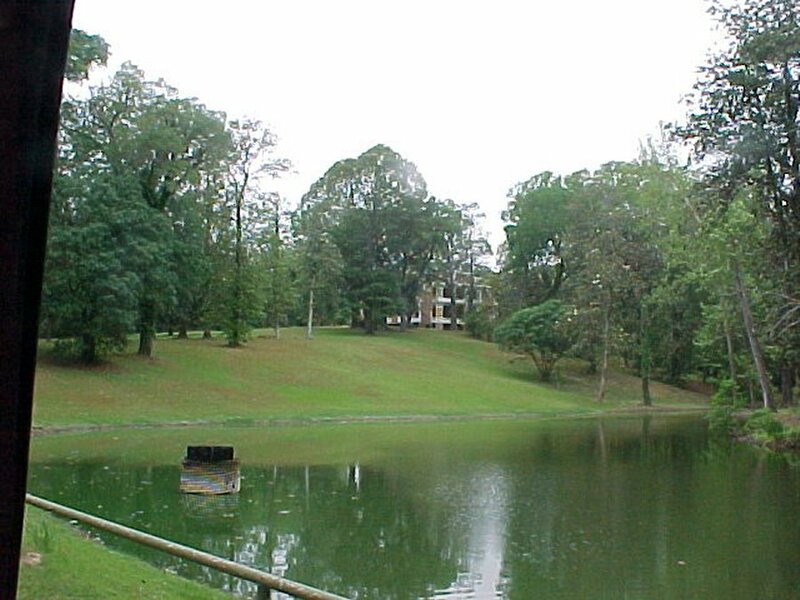 The enslaved walked in chains or coffles for several months on old Indian trails, like the Natchez Trace, or on stage roads to the markets of Natchez. 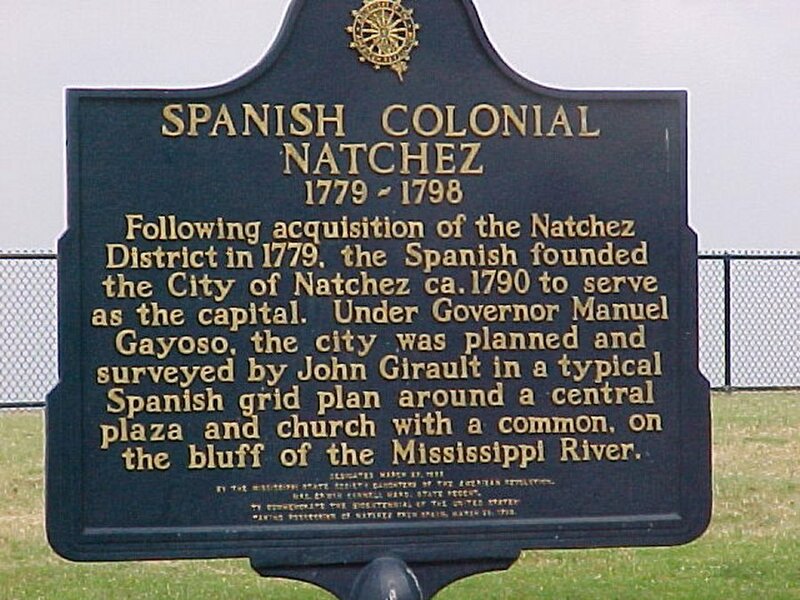 Arriving in Natchez, slaves were prepared to be sold to a new master, while the trader swapped, sold, and bargained for slaves at up to four different types of markets. Up to 32 dealers conducted store, courthouse, and river landing sales, or bargained with traders at Forks of the Road market. The Forks of the Road market was last used for slave trade in 1863. 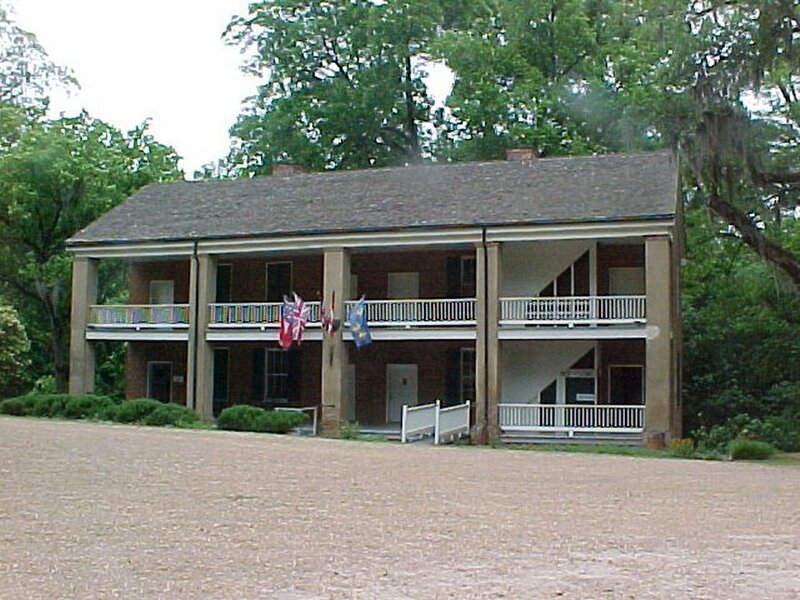 Union troops then used the market building as a refugee camp for newly freed slaves and as housing while occupying Natchez. 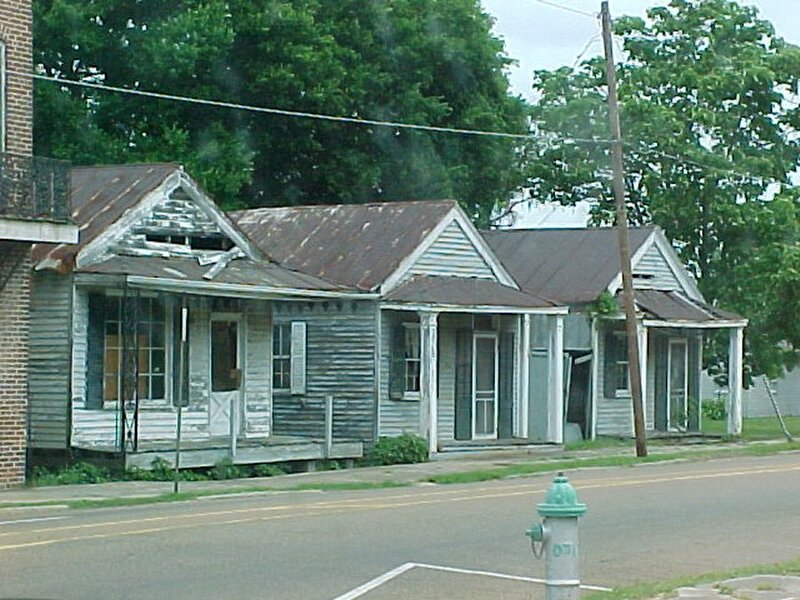 A lot of the houses were burned or destroyed during the war between the states in 1861 to 1865. Others lost their fortunes. 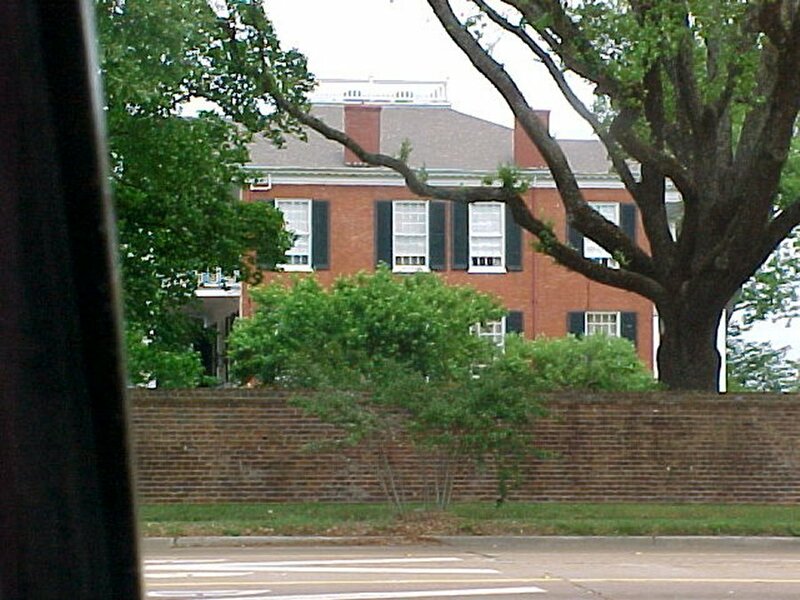 One house, Longwood, was never finished, and the family lived in the basement when they lost over three million dollars in the war. 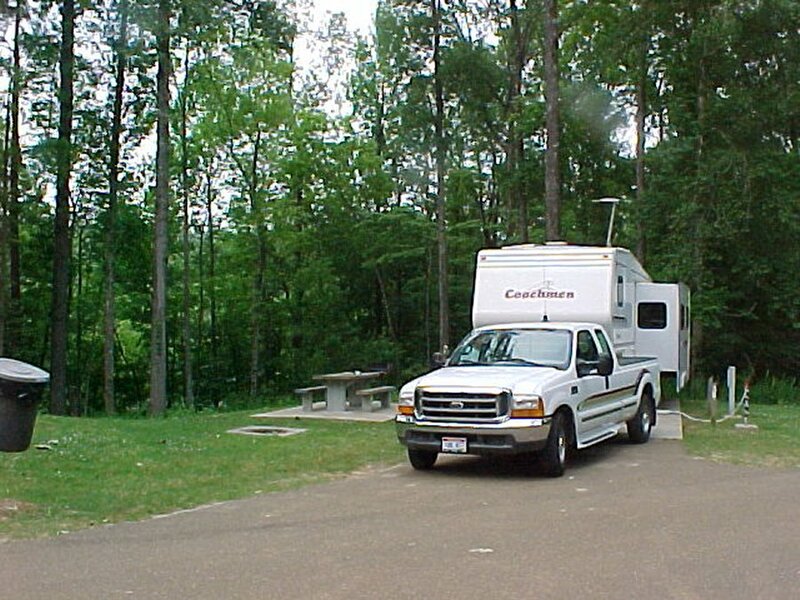 We stayed in Natchez State Park for $10.00 a night. 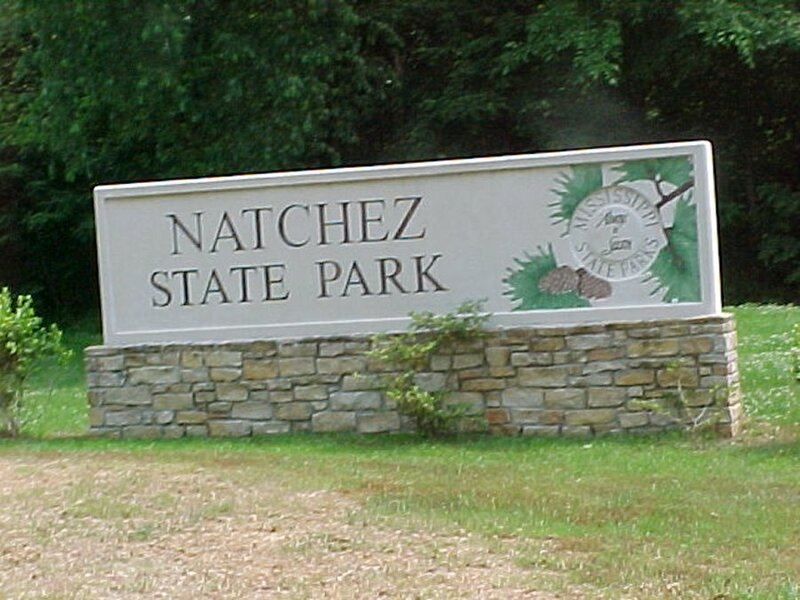 Natchez State Park entrance, three miles to the campground. Our site for three nights. 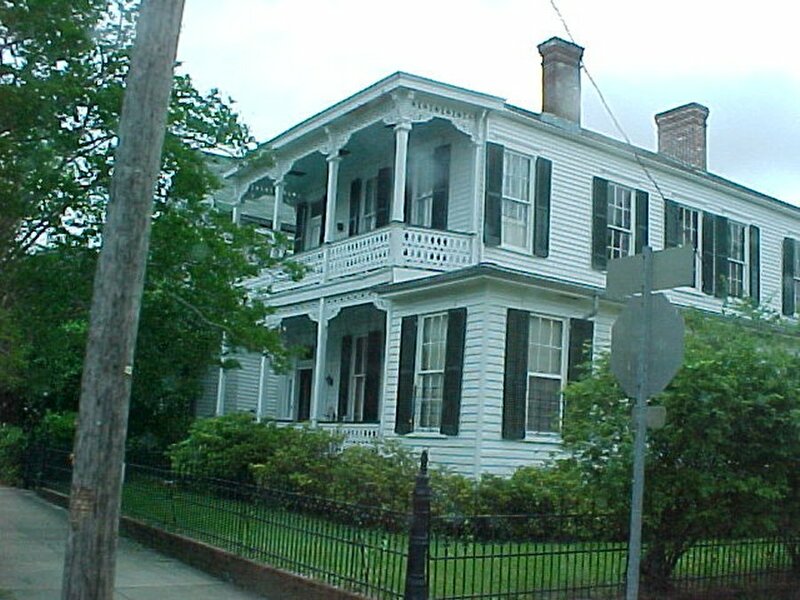 Beautiful antebellum houses in town. houses on the other side of the tracks. The Isle of Capri gambling boat. 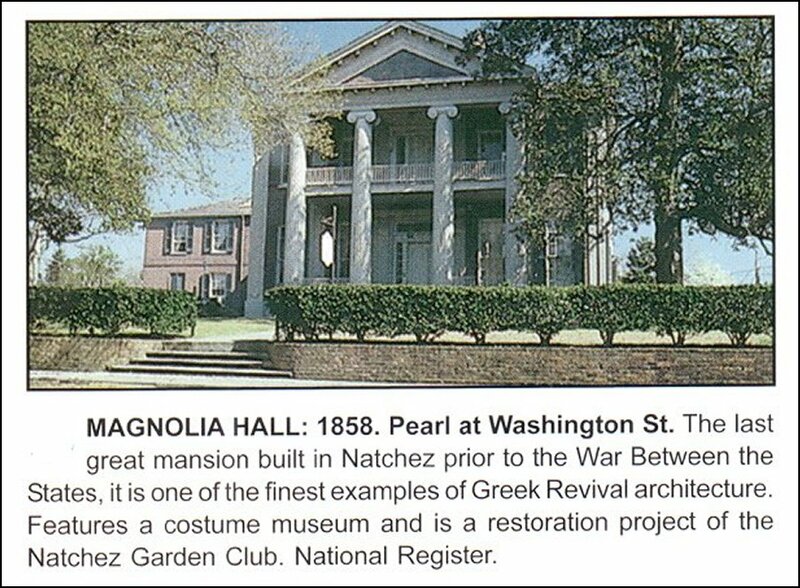 Here in Natchez you may wander in old-fashioned gardens where fall splashes of scarlet and gold flicker among lush evergreens. 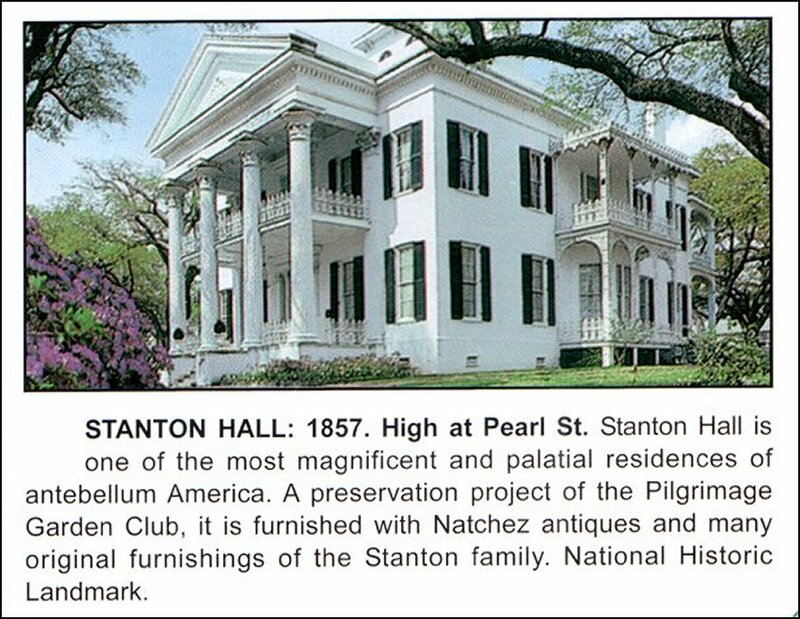 Ladies in hoopskirts will welcome you to eighteen beautiful antebellum houses, which still treasure the relics and furnishings of a vanished era. Most of these houses charge $6.00 per person for a tour and another $3.00 if you want to take pictures. 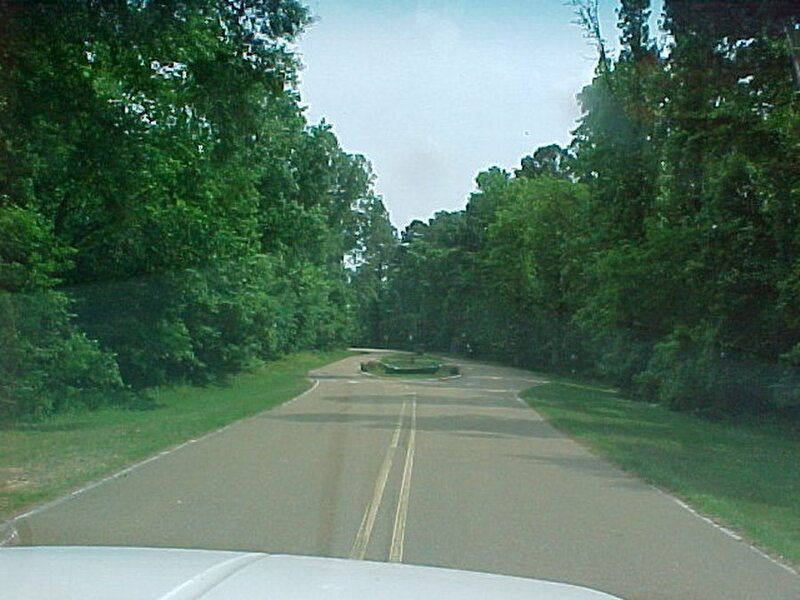 We only toured Longwood and Melrose, the National Forest Monument. We found a couple of others and just walked around outside taking pictues. 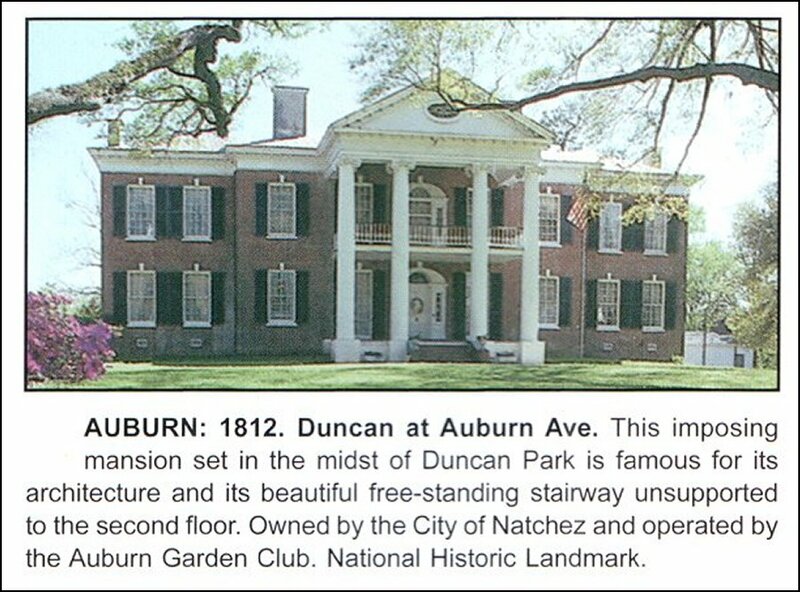 The pictures below are from a tour companys brochure where for $23.00 per person they will take you on a tour of three of different houses. One we toured this one. 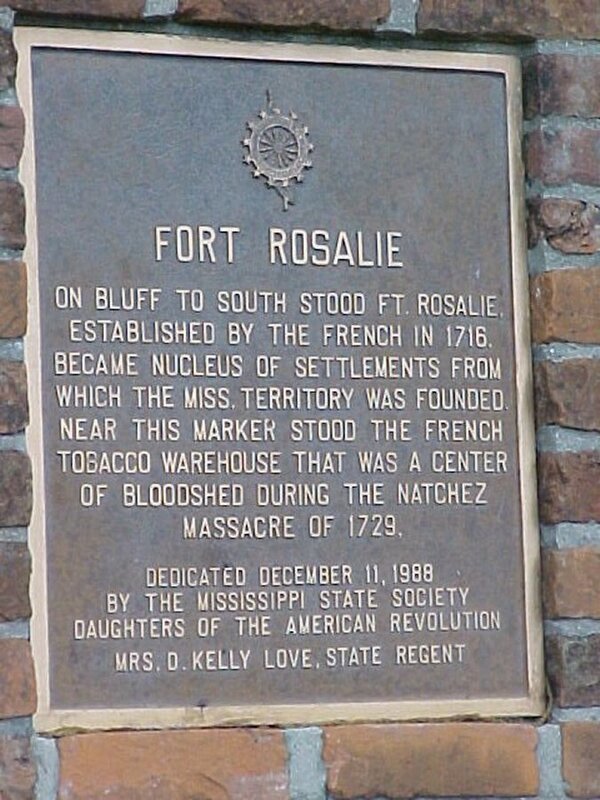 Rosalie, which was once a fort was the first house we stop at. 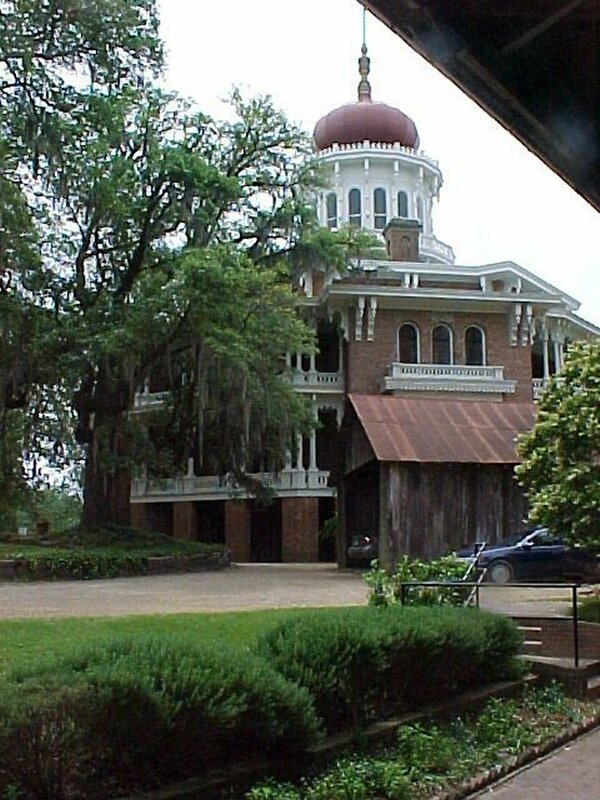 Front of the Rosalie house. 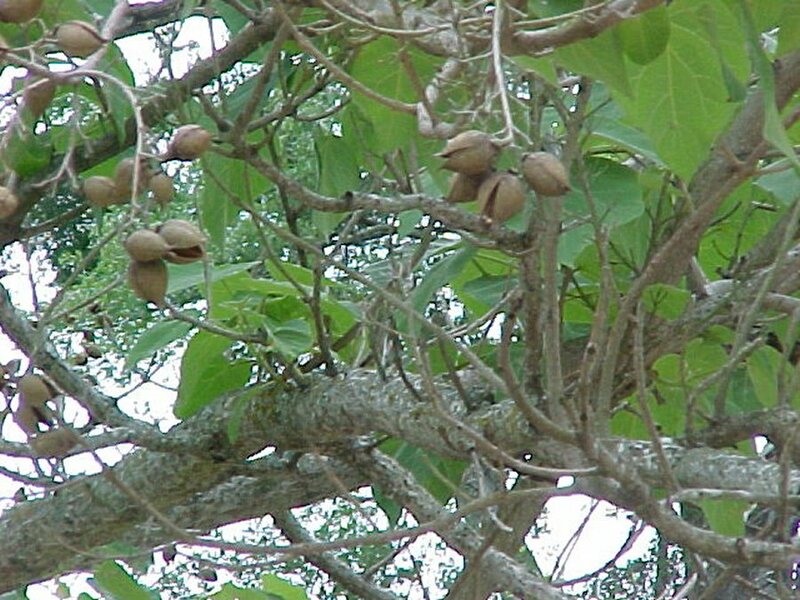 Funny nuts on a tree. 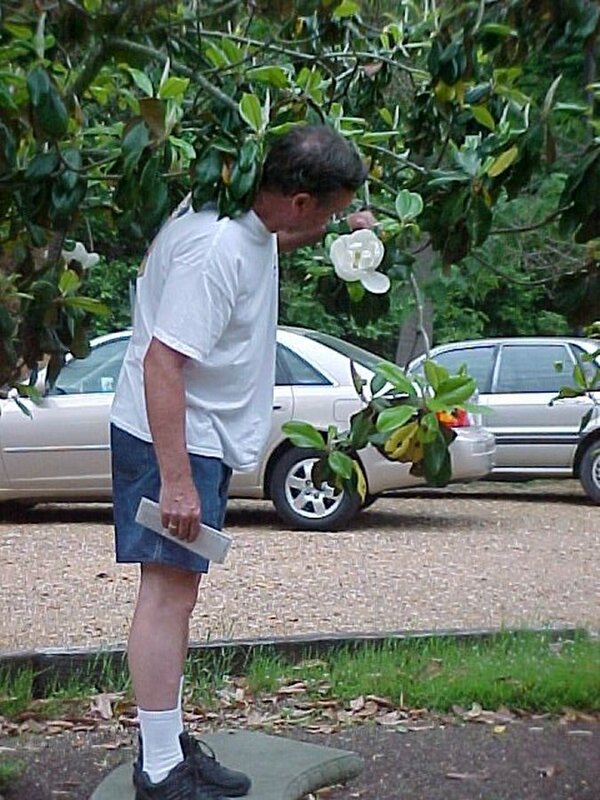 David smelling a magnolia blossem. We paid our $12.00 to tour Longwood. 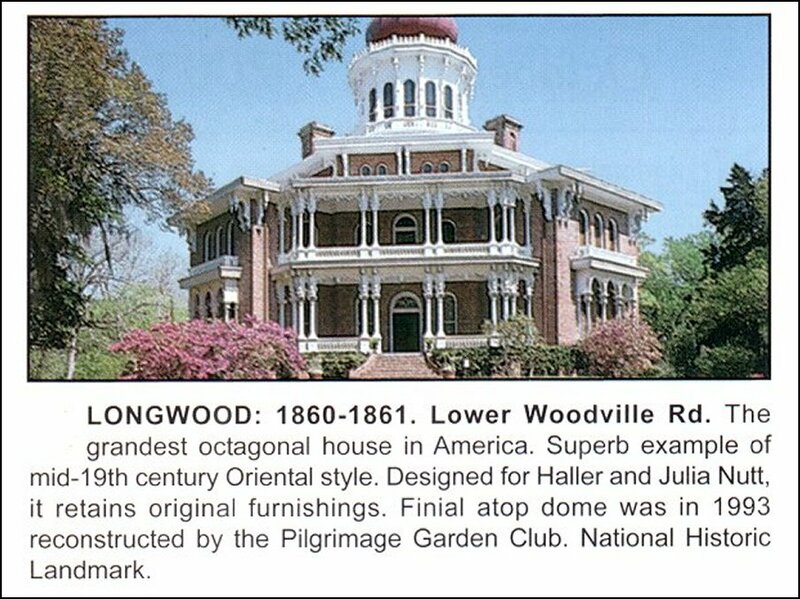 It is an interesting octagon six story 30,000 square foot house. 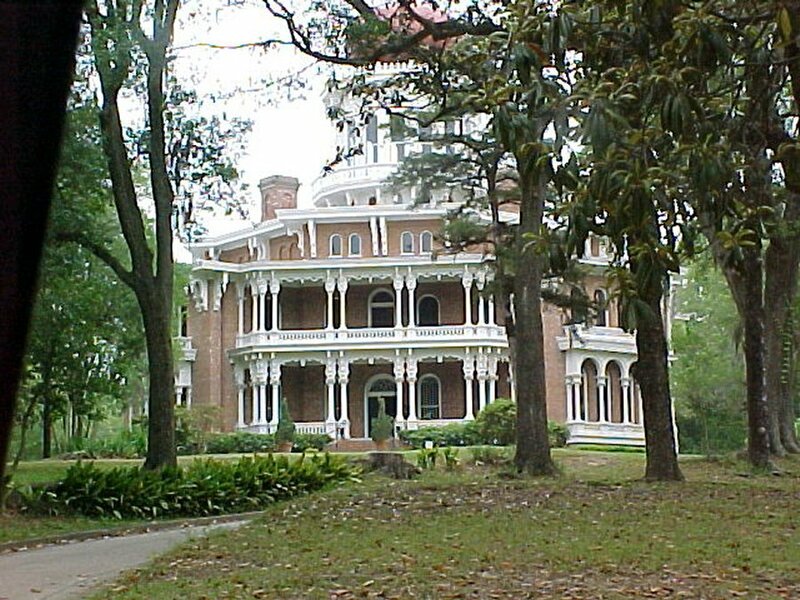 Planned in 1859 for cotton-nabob Haller Nutt and his wife Juila by architect, Samuel Sloan, the mansion was begun in 1860. 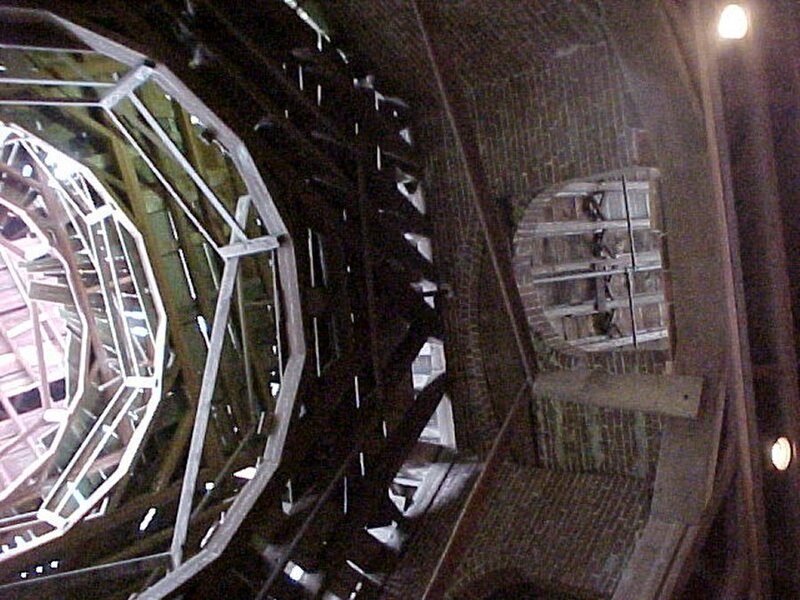 Using the octagon form with four main floors, a fifth story solarium and a sixth story observatory, the structure was designed to have 32 rooms. each with its own entrance onto a balcony. On the main floor were to be eight rooms, including a drawing room, banquet hall, library, reception room and a special apartment for Mrs. Nutt. connecting the levels was to be a grand spiral staircase. 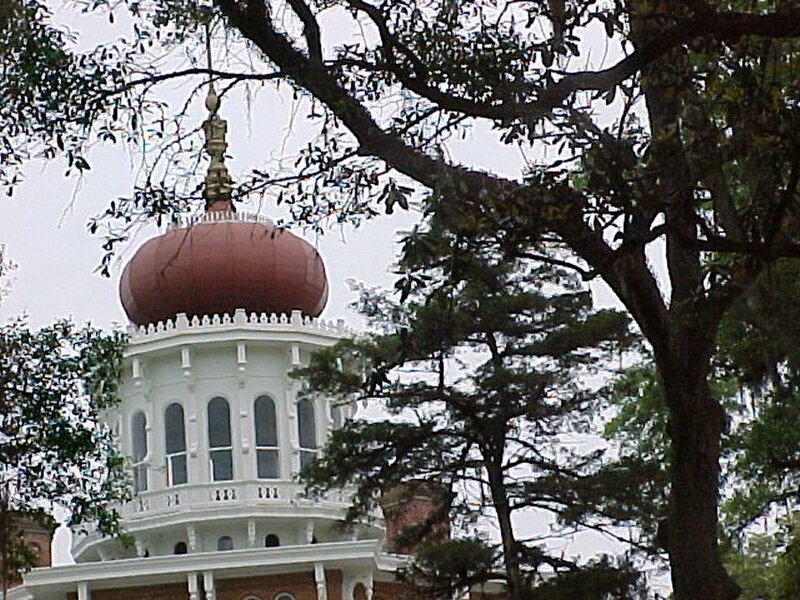 Crowning the whole was a Byzantine-Morish dome with a 24 foot finial reaching heavenward. In April 1861, all his hopes and dreams were smashed by the declaration of the War between the States. the craftsmen dropped their saws and hammers and fled North to pick up rifles and bayonets, never to return. Nutt and a few local workers and slaves completed the basement level. 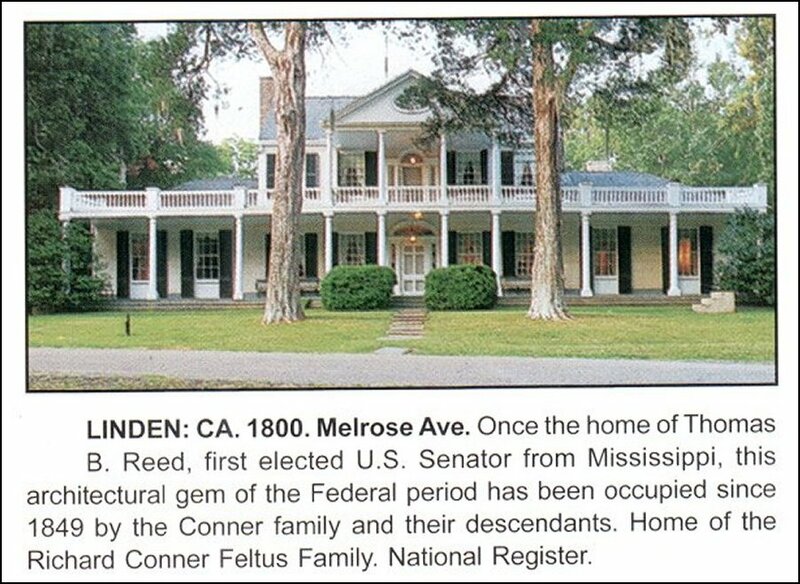 This area, where a wine cellar, school room, recreation room and office were to have been, was converted into living quarters for him, his wife and eight children. 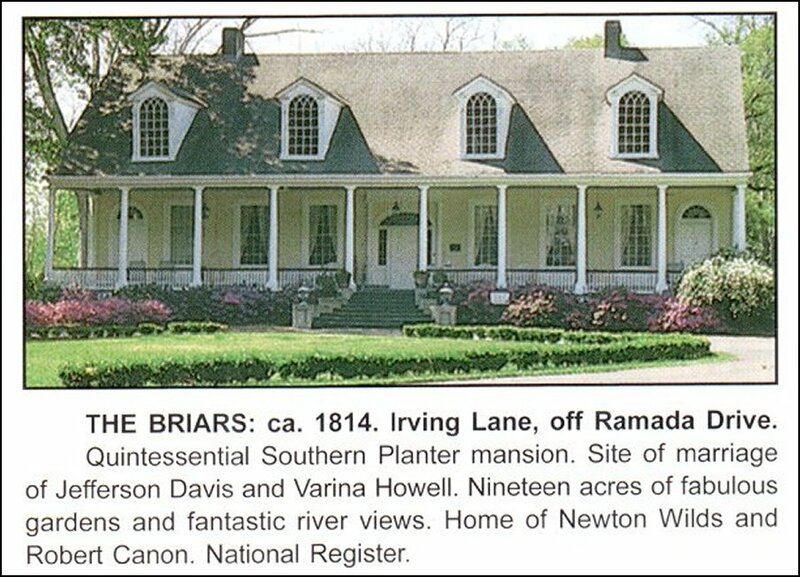 Here they lived in nine rooms as war swirled across the South. On June 15, 1864, Haller Nutt died in the basement of his unfinished mansion. The diagnosis was pneumonia, but legend insists that he died of a broken heart over his dream house. Julia and the children lived on in the cellar doing only a minimum to maintain the great hulk looming over them. She died in 1897 and was buried beside her husband in the Longwood family cemetery. 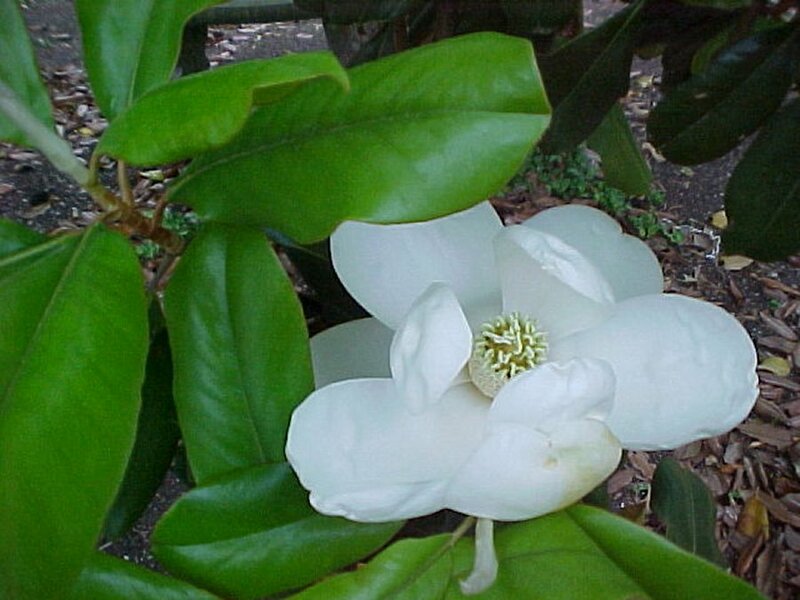 grandchildren owned Longwood until 1968 and today is is maintained, yet unfinished, by the Pilgrimage garden Club. 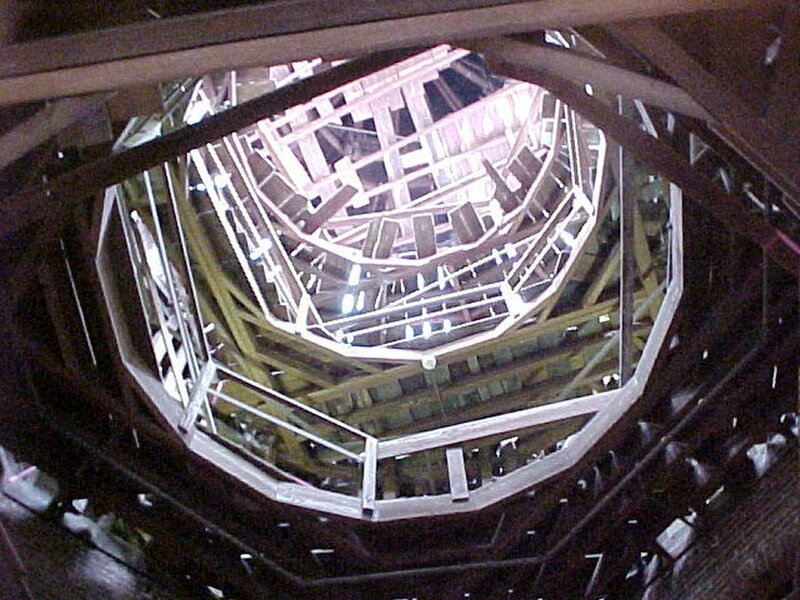 Looking up into the observatory that was never finished. 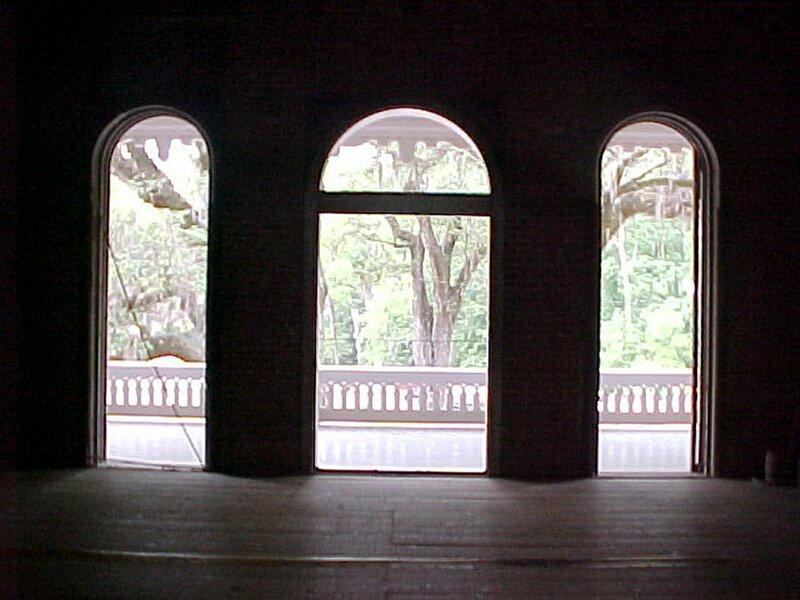 Looking out the second floor. 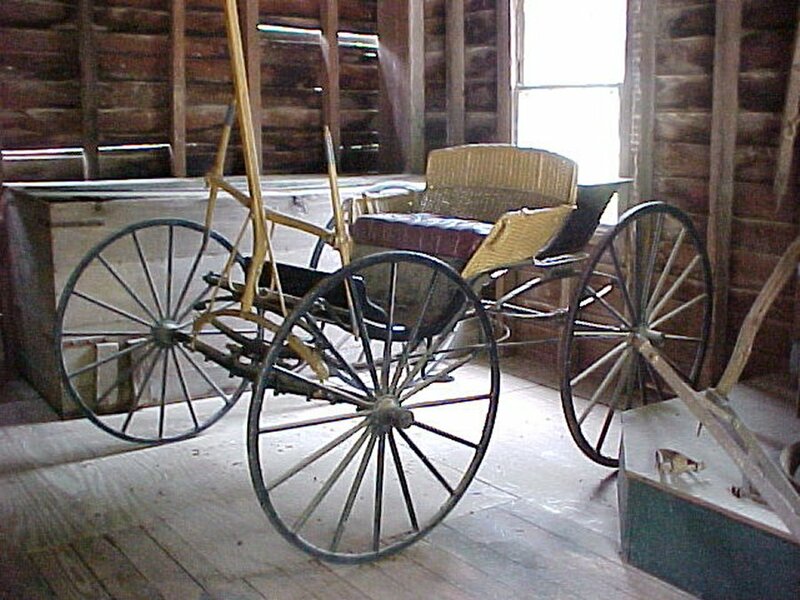 An old buggie in the barn. 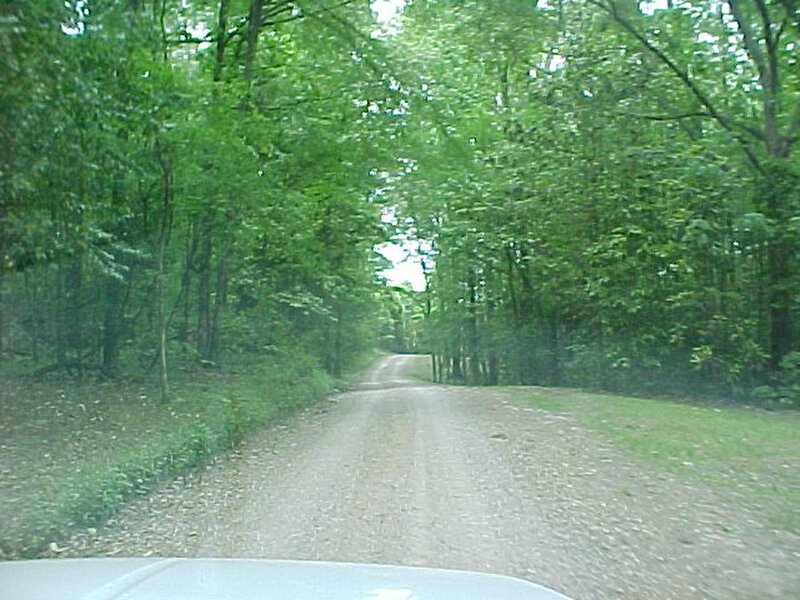 Out driveway was different than the in driveway.